Permeable Paving is an “all-season” pavement alternative, providing a long lasting, durable and reliable surface often in areas where conventional solid surfaces can not be used due to soil conditions, weight bearing requirements and site access. Most of us do not put too much thought into the surfaces we walk on or drive on. We only “look down” during troublesome times. Inclement weather, slippery patches and potholes and cracks force our glances downwards. Conventional surfaces such as asphalt and concrete are affected by changing temperatures and weather patterns. Potholes and cracks are commonly formed due to fluctuating temperatures and the freeze-thaw cycle that is well known in the northern regions and throughout Canada. 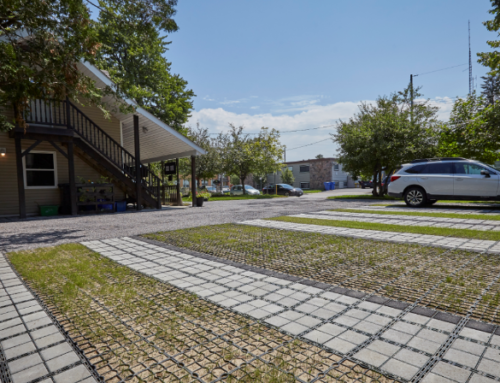 There are many different types of permeable pavement systems now available due to the increasing focus on stormwater management and the need to address the changing weather patterns we are experiencing due to the effects of climate change. 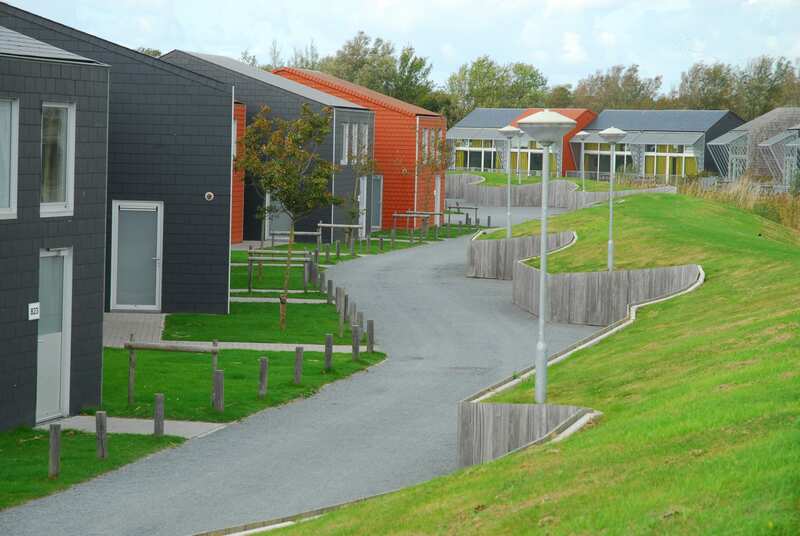 Not all permeable surfaces offer the same benefits, however, there are more and more pervious options available that “tick all of the boxes”. The benefits of porous surfaces can be found throughout all of the four seasons, Spring, Summer, Fall and Winter. Let’s take a couple minutes to explore these various benefits in further detail. Spring and Fall are seasons that can be addressed together. The benefits of pervious surfaces during these seasons are immediately apparent. Pervious surfaces allow storm water to be managed on site, where it lands, reducing if not eliminating run off and potentially reducing consequent flooding. The base beneath the porous surface can be designed to hold large volumes of stormwater, which can even be repurposed if desired. Reducing run off also reduces the pollutants entering the nearby ecosystems and natural water bodies. 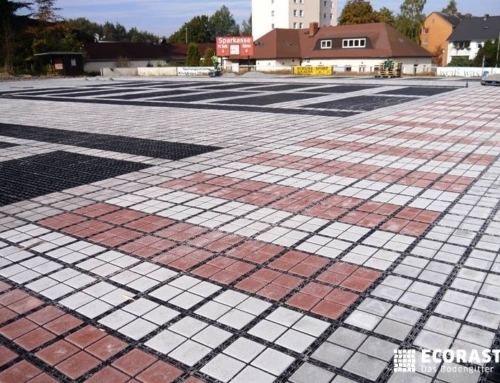 Permeable surfacing products such as flexible plastic geo grids/geo cells like the Ecoraster system are also widely used to immediately eliminate mud from heavy traffic areas. 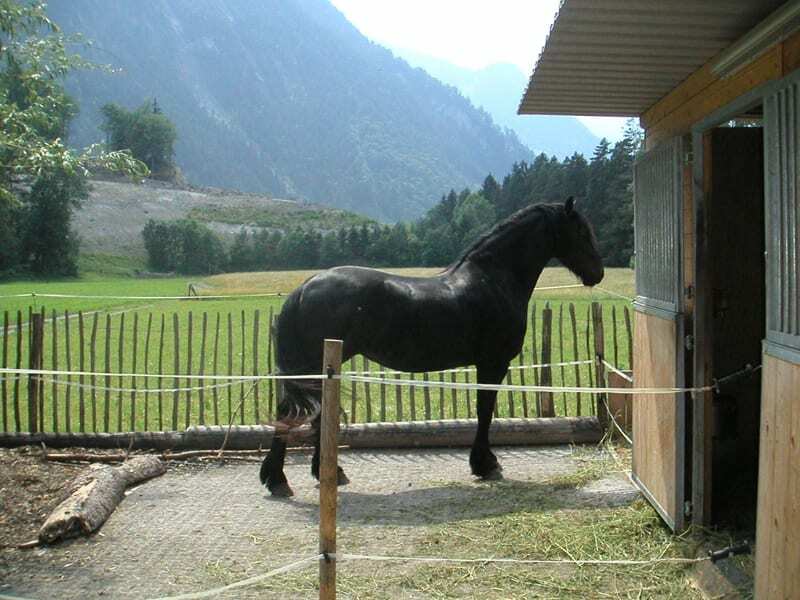 The Ecoraster system is used world wide in equestrian and agricultural facilities specifically for this application. 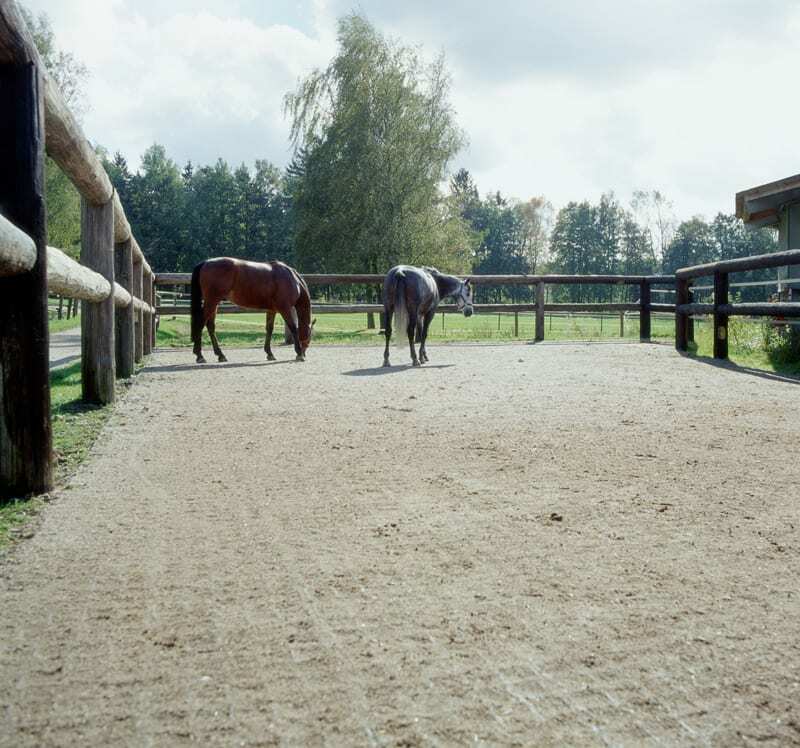 Premium equine facilities who have incorporated the Ecoraster grids are able to provide a mud free, free-draining facility which ensures both horse and rider have a much more pleasant experience. 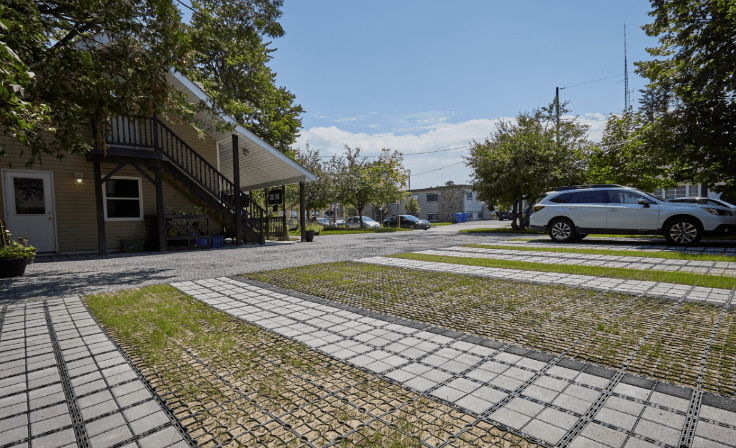 The benefits of using permeable surfaces in the Summer are similar to those in the Spring and the Fall, especially in light of the Summer storms we are becoming more accustomed to. 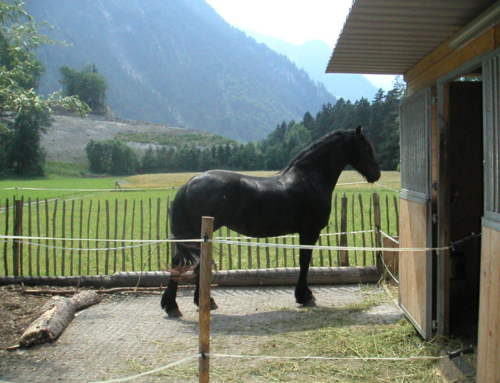 Porous surfaces also help to reduce the effects of the Heat Island Effect by cooling the areas and allowing the earth to breathe. Porous surfaces are also not affected by high temperatures and will not sink or melt ensuring the surface remains level, stable and safe, especially in heavy load bearing commercial and industrial locations. 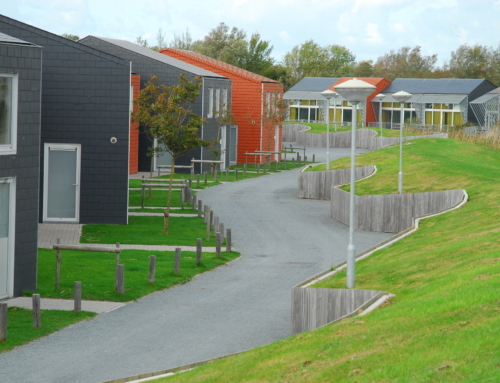 The benefits to using permeable paving in the Winter months may not be immediately obvious. Many permeable pavement products allow for a reduction in winter salt usage by allowing water formed on the surface by melting snow to percolate through the surface and into the base beneath before it can freeze on the surface. Reducing the salt usage has multi faceted benefits and is an important focus for municipalities around the Great Lakes. Many porous surfaces offer natural traction which further enhances the stability and safety of the area during slippery weather. 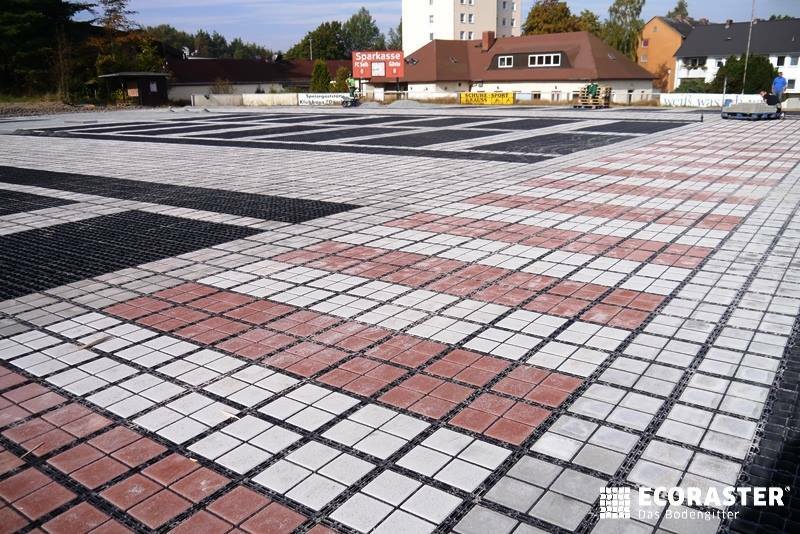 The Ecoraster and Ecoraster Bloxx system have been engineered and designed in German specifically to perform in extreme climates, both hot and cold. These products can support heavy loads without cracking even under extremely cold temperatures. The surfaces can be cleared in the Winter with shovels, plows and blowers. These systems can even be installed during the Winter season, although it may not be the most pleasant for the contractors. There will not be any surprises after a harsh winter. Winter friendly permeable surfaces will not crack or develop potholes. 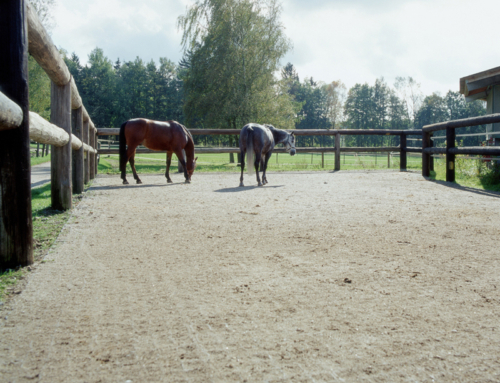 Many of the permeable surfaces now available are virtually maintenance free even in “four season climates”. Now is the perfect time to explore the different porous surfaces available. 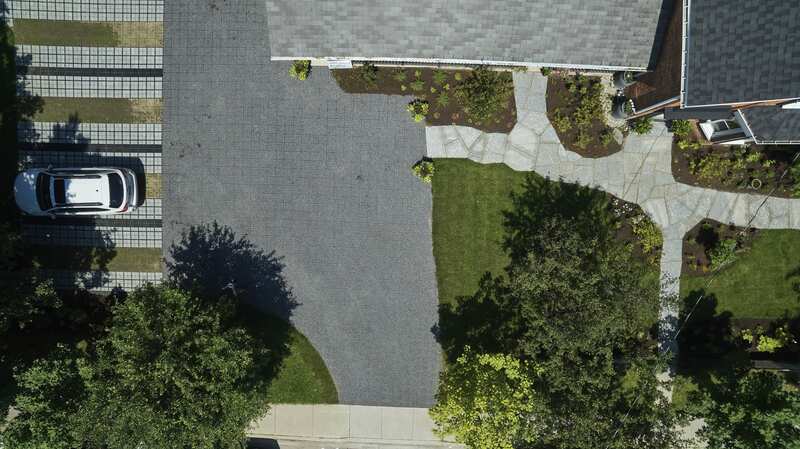 Plan Spring projects which incorporate LID alternatives such as permeable pavement, you will reap the benefits and rewards for many, many years to come.